Woman and kids making pastry. Lady kneading dough. Family cooking class. Little girls in the kitchen. Fruits on cooking table. Little girls make pastry. 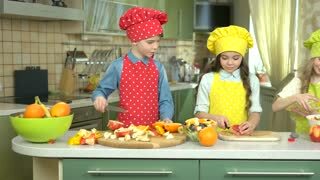 Children at the cooking table. Easy desserts kids can make. Little girls cooking. Salad bowls on kitchen table. Woman with kids, kitchen. Little girls making pastry. Cooking teacher jobs. 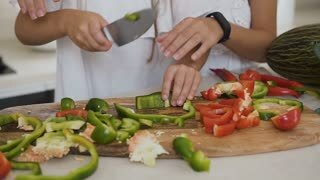 Three kids making salad, kitchen. 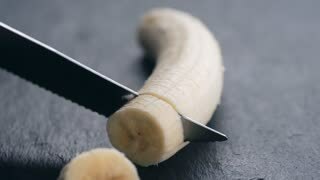 Cut fruits and vegetables.